Your heart pounds as you slowly walk across the swinging bridge, staring down into the eyes of 40 hungry alligators. 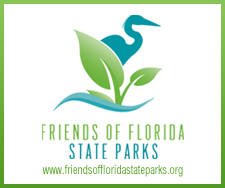 The alligator pond at Everglades Wonder Gardens is one of the top attractions, luring visitors from all over the world! 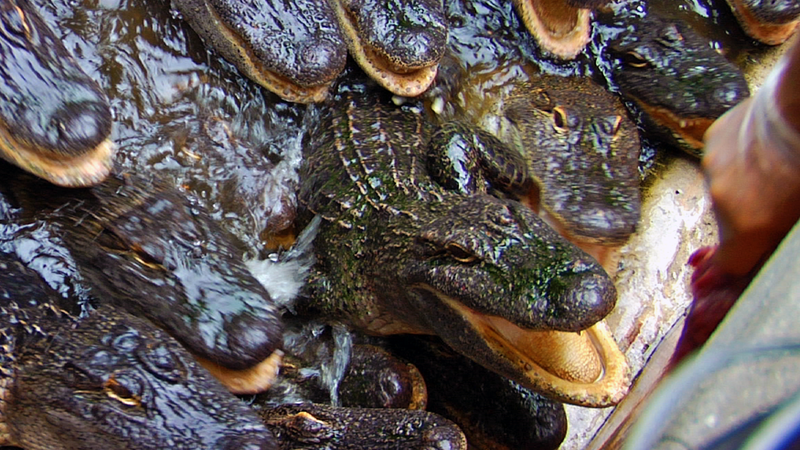 This is one of the few locations in Florida where you can legally feed alligators. 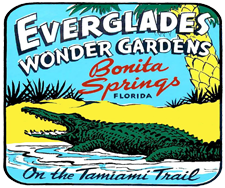 Established in 1936, Everglades Wonder Gardens is one of the last survivors of Florida’s Golden Age of roadside attractions. The Gardens have been reborn with elements such as dozens of bromeliads, a butterfly house and five large staghorn ferns in addition to legacy specimens, including old growth kapok, shaving brush and African mahogany trees. 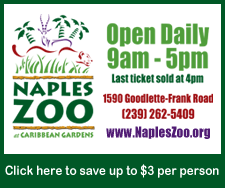 Nestled among all of this greenery and flowers are new and updated animal exhibits such as a flamingo pond, alligator pool with 40 gators, duck ponds, and turtle and tortoise exhibits. If you visited before summer of 2013, you won’t believe the difference. 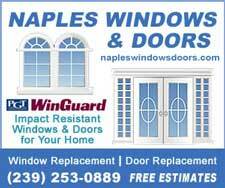 And if you’ve never come by, you’ll be awed by the beauty of this jewel sitting right in the heart of Southwest Florida in Downtown Bonita Springs. Easy access from Rt. 41 and I-75. Plenty of parking. Lots of shade. Hundreds of plants and dozens of animals to enjoy. Come wander and wonder!